Lemongrass is common in Southeast Asian cuisine, but is also used in African and Latin American dishes. Provide a vegetal, lemony flavor to everything from tea and soup to curries and seafood dishes. 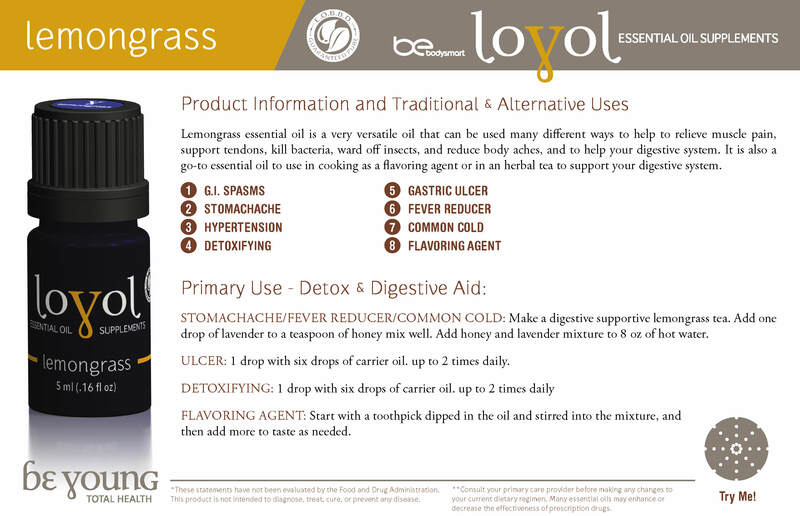 Using our loyol essential oil version of lemongrass provides many benefits over the herbs. One of the many of the longevity of the essential oil when stored in a cool dark place our Loyol Lemongrass will last for several years. 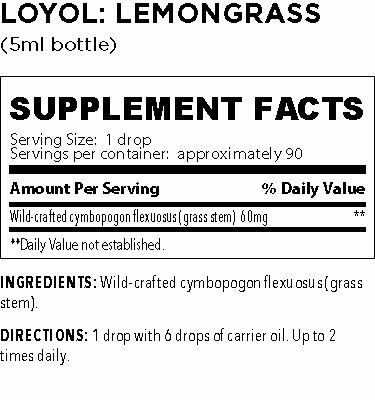 There are many health benefits of lemongrass: the mix the essential oil with some honey to infuse it for a tea to alleviate headache, gastrointestinal upset, and sore throat. type, herbaceous or tea-like odour.